We are really excited to launch the Enhanced version of the Lease detail page! This release is scheduled for the week of February 5th. 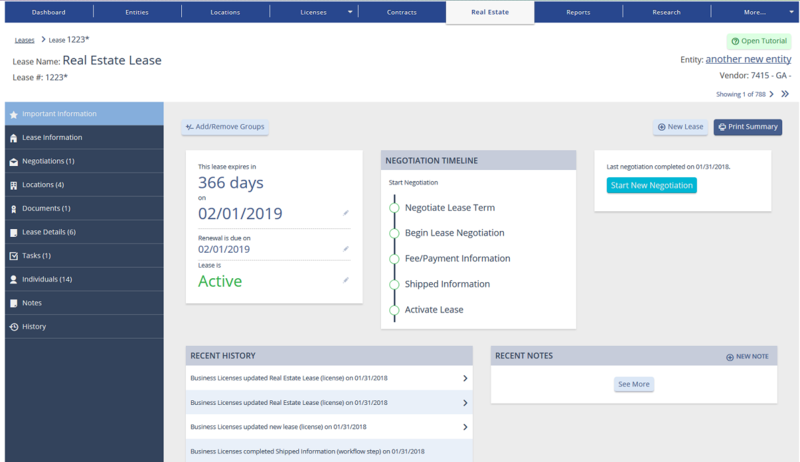 This upgrade includes a complete functional redesign to the BLMS lease detail page, for those clients who have this add-on module. The same features that you’ve become familiar with on the license and location detail pages, such as 1-click edits, ability to customize the groups displaying the important information tab, the document preview and many others, will now be available on the lease detail page too. Check out these screenshots for a preview.